Catch Avril Lavigne Live Concert in Manila, Philippines for the year 2012. 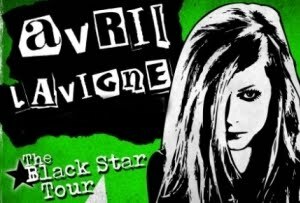 The concert is part of Avril's The Black Star Tour to promote her fourth studio album, "Goodbye Lullaby." It will be happening on February 16, 2012 at the Smart Araneta Coliseum. Ticket prices of the Avril Lavigne Live in Manila 2012 concert will be posted here once available. 6. "I Always Get What I Want"
12. "Wish You Were Here"
please follow our blog site..